day 3396: almost done with the percy jackson & the olympians series! odin has always loved books and while he’s a quite a capable reader he’s always preferred to have us read to him than read on his own. 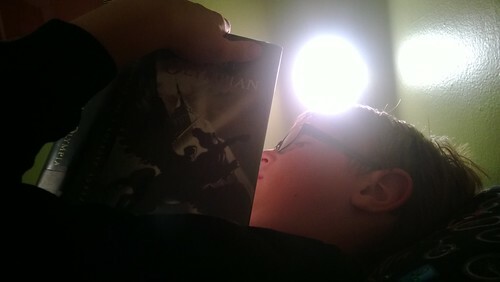 that is, until he discovered the “percy jackson & the olympians” and he tore through the five books – more than 1,500 pages in total – mostly all my himself. after nine years, it’s a bit bittersweet to have him not quite as interested in having us read to him, but fun to see him love to read and caught up in the story. Previous Postrecipe: maple panna cotta with peach coulis.Next Posta dreary day at the pumpkin patch with frida and pigs and goats and rabbits, oh my!